SONICLAB is a creative electronic laboratory. The main goal is to present new projects and ideas of exploration in electronic music and visual art, in creative atmospheres, without limitations, feeding itself from experimentation and innovation. There will be various methods of communication, including a label that will be exclusively distributed by Kompakt. The first release is the album from the audiovisual concept called XNX. XNX is a project developed by Ilidio Chaves, best known as Expander from Soniculture. The live concept intervenes in a space and creates what we call a "chaos bubble" by using sound and visual design to surround people in a way that they feel inside of a space that is fondling with their perceptions. 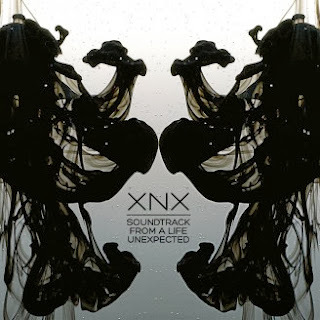 This album represents the works of XNX that were made between 2002 and 2013. Over ten years of audio production that was applied to several areas of art such as contemporary dance, video and installments. "Soundtrack from a life unexpected" is made in a way that all tracks are continuous so it presents itself as a voyage through different music styles, feelings and sensations, all combined in a way that the result is a whole soundtrack itself, which should be listened in one continuous take. XNX has prepared a special visual show for this soundtrack that is presented on stage with a 4m x 3m structure and advanced video mapping techniques. It has a very strong impact on the viewer.